The course programme is designed to cover a range of topics of direct relevance to the science of physical, chemical and radiological phenomena specific to progression of severe accidents in WCRs including an overview of the associated technologies designed to cope with such events. The course will build a complete understanding of the science underpinning the complex phenomena associated with the progression of severe accidents in WCRs. 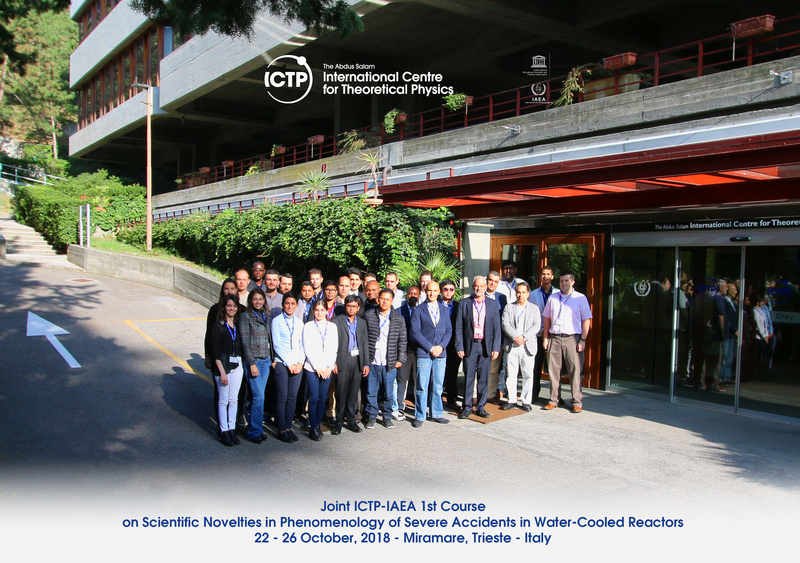 Knowledge transfer will be facilitated between the international experts as lecturers, and young professonals and engineers, as participants through discussions and hands-on learning with the goal to gain a comprehensive understanding about science of the physical, chemical and radiological phenomena specific to severe accidents in WCRs, advancement in scientific methods, approaches and simulation tools, fundamentals on various interrelated scientific phenomena associated with in-vessel and ex-vessel phases of severe accident progression, and the role of technologies required to control and prevent progression of such accidents in WCRs, including mitigation of the resulting severe consequences. Progression of Fukushima Daiichi Accident and its Consquences. Numerical Simulations of Severe Accident Phenomena.